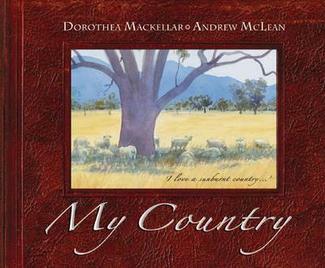 Wanted: Your views on E-Books – Campaign to save the Dorothea Mackellar Award – and ‘A Bunch of Hazelnuts’. Are you a publisher, editor, author? If so, the government is interested in hearing your views on E-Books, according to Barry Jones in his article in the Sydney Morning Herald. Barry Jones is the chairman of the Book Industry Strategy Group. Ideas can be submitted to www.innovation.gov.au/bisg until January 31. Take a look at some of the new E-Book covers available now. Hot on the heels of the campaign to save our School Magazine, we now hear news of another campaign to save the Dorothea Mackellar Poetry Awards. You can read the full ABC article: Australian students’ literacy levels declining by Timothy McDonald. If this is the case, then why are Australian Federal and State governments reducing funding and support for these Australian literary icons? Surely, they have proved their worth by their longevity and popularity? Send your objections to Graham.Nuttall@aph.gov.au and/or Tony.Windsor@aph.gov.au Tell these people how important poetry is in Australia and to Australian children. At a time when literacy is supposed to be a priority, it seems absurd that this funding would have been cut. All adult writing classes are different. Chances are you’ll have experts from varied fields, and that’s the delight. We all learn together. Classmates include engineers, rap musicians, truckies, hairdressers, potters, gardeners, singers, psychologists, nannies, herbalists, actors, speech pathologists, teachers, parents, chemists, check-out chicks and roosters, interpreters, illustrators, and I’ve even had an ex-spy in an earlier class. Many speak and write multiple languages. It just so happens that my skills are in crafting ideas in accessible English and anecdultery (structuring mini stories with humour). Age, shape, gender or culture doesn’t matter, except in the first five minutes in the opening class, and in providing perspectives and facts from which to write. My adult students are aware of my deficiencies in admin, formatting and filling in rolls. But I hope they gain a realistic insight into the workstyle of a professional creator. Most people who enrol for a year-long writing project course, have a subject about which they are passionate. Their content matters. They have ‘real’ experience of value to others in our society. They just need help writing it. Often ‘tragic’ historical material needs to be crafted so the writer can make sense of a past, but the reader is not overwhelmed and rejects the story. 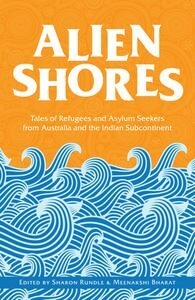 Common strands are those who wish to write aspects of their family history for grandkids or to make sense of their migrant parents’ earlier struggles. Others want to write How to books in their specialties, such as health, cooking or racing. Some plan autobiographies but often settle on ‘memoirs’ focussing on important stages. Writing is more than therapy. An amateur writes for the love of writing and for themselves as the only reader (or maybe their Mum). A professional invests time to craft those ideas and experiences in a format more people will read, so it’s effective use of time, both ways. As a self-employed author, I encourage habits which will enable creators to work regularly and to a high standard, but also to get recognition for their efforts. We ‘celebrate’ acceptance, publication or awards, with champagne, or even an ‘imaginary’ toast. Networking is encouraged, beyond the class, so that those with a significant story to tell about extra-ordinary ‘so called ordinary’ people, can do so. Why do I teach in a TAFE as a sessional lecturer? I was asked to ‘fill in’ by author Garry Disher, about 20 years ago. I enjoy seeing the ‘light bulb’ moment when an adult student understands I am a mentor, partly because I didn’t have a writing mentor when I needed one as a beginning author. I consider that I am ‘giving back’ in practical ways from the viewpoint of a practitioner, not an academic dealing only in theory. I’m also an authorpreneur, aware of the need for an artist to learn media skills and to initiate paid work. TAFE courses offer ‘a second chance’ to those who wish to learn new skills when they are ready to do so, at any age. When an adult student ‘gets it together’ in a well-crafted piece, this gives me pleasure. Taking a weekly class, forces me to analyse techniques, and keep up with topical examples. We swap recommended books. A writing tutor’s role is to offer technical suggestions, and set up a workshopping environment in which people’s stories can be crafted for a wider audience. The rest of the class create the public opinion responses (which may differ) enabling ‘testing’ of those ideas. Commercial publication is not the only aim, but on average 3-4 books are published by major publishers within a couple of years of those students completing their year-long course. Others find their aims change. Completing the writing of a book length project is a creative achievement, inspiring the confidence to tackle other goals. Many ex-students retain contact, because friendships have been formed from the depth of ideas explored, or from new socialising via galleries, book launches and festival attendance. Lives have been deepened because others’ motivations are better understood. A ‘freelance’ used to be a medieval mercenary with a lance for hire. A freelance writer can be many things. An ex-student, now a published author and exhibited artist, told me that a ‘filbert’ is a cultured hazel nut, and maybe that could be my pseudonym. A freelance filbert? A bunch of filberts doesn’t have the same ambiguity of title, but … Titles are vital. I am proud that my students have called this a Hazelnuts Collection, or even colloquially the ‘Hazelnits’. Playing with words works. Of Hazel Edwards’ 200 published books for adults and children, the best known is There’s a Hippopotamus on Our Roof Eating Cake, soon to be a film with Pocket Bonfire Productions. In 2010 she wrote the novel f2m:the boy within, on transitioning gender, with Ryan Kennedy who is the first ftm. ( female to male) co-author of YA fiction on this subject internationally. 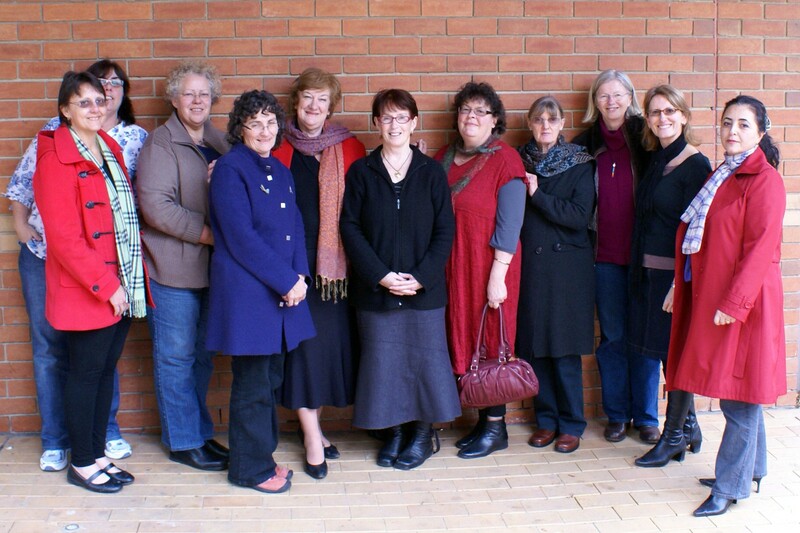 On the Australian Society of Authors committee of management, Hazel holds the Education portfolio. She’s been nominated for the international 2011 Astrid Lindgren Memorial Award and is a recipient of the peer awarded ASA Medal in 2009. 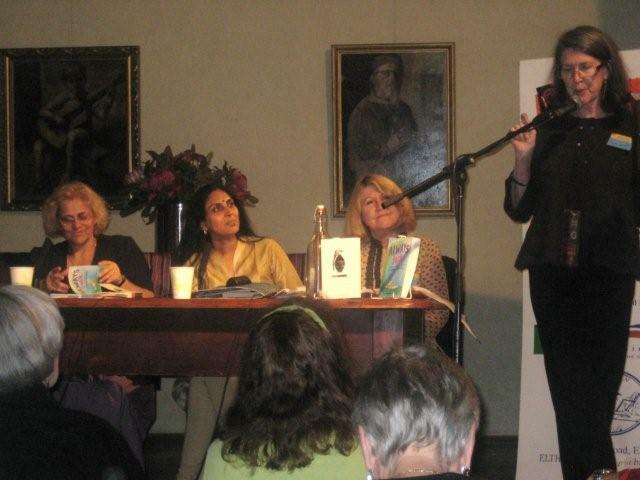 She’s also proud of her ‘espionage network of ex-students’ using their writing skills in diverse occupations. Thanks, Hazel, for your inspiring story – I’m sure a Hazelnuts Collection is a great read. Hippotamus Party, Zoo E-Books, Journal Prompts, Flooded Worlds and introducing our National Literacy Ambassador. The Hippopotamus Celebrates 30 Years with a Birthday Party! 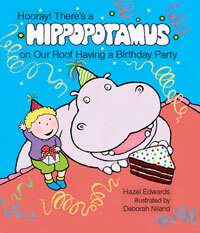 Hazel Edwards is celebrating the 30th Anniversary of ‘There’s a Hippopotamus on Our Roof Eating Cake’ with the release of ‘Hooray! There’s a Hoppopotamus on Our Roof Having a Birthday Party’, illustrated by Deborah Niland and published Penguin (RRP $24.95). 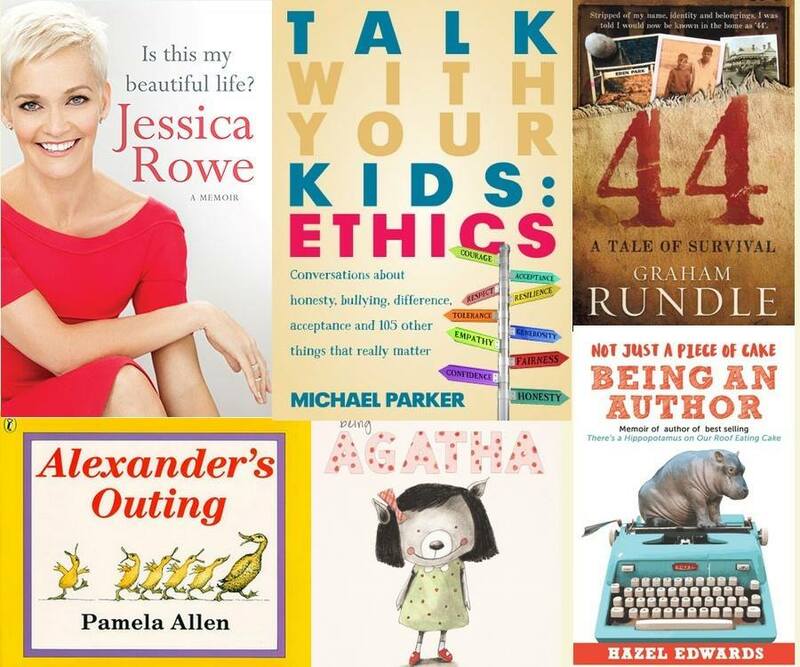 The latest Hippopotamus book had a very favourable review in The Sun-Herald on June 27. It is warm and funny with delightful illustrations to appeal to ages three and up. Hooray! There's a Hippopotamus on Our Roof Having a Birthday Party! Author: Hazel Edwards. Illustrator Deborah Niland. Publisher: Published by Penguin. 1 March 2010. On Sunday July 4th the Event Management students of Victoria University organised a major Hippo Birthday party event at the SLV Experimedia, as well as a hippo exhibition contest for the libraries and schools. Australian National Literacy Ambassador for 2010. 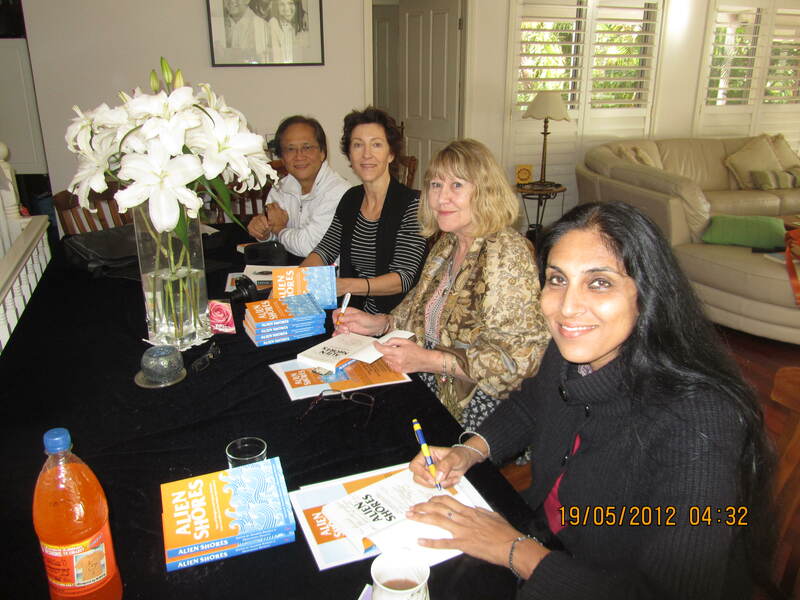 Deborah Abela is the Australian National Literacy Ambassador for 2010. Sharon Rundle interviewed Deborah about her forthcoming duties and the release of her latest book ‘Grimsdon’ for 8 – 12 year old readers. 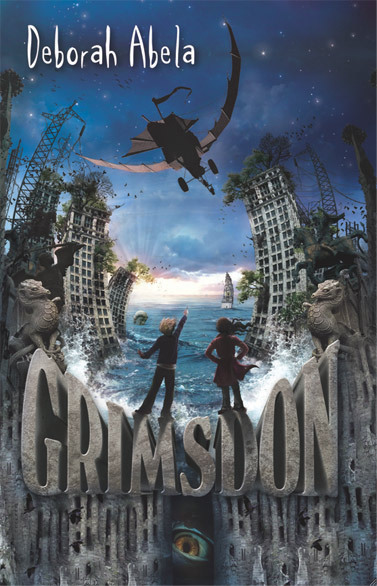 Grimsdon, published by Random House Australia will be out in August. Deborah has been writing for kids for seventeen years—ten as a novelist. 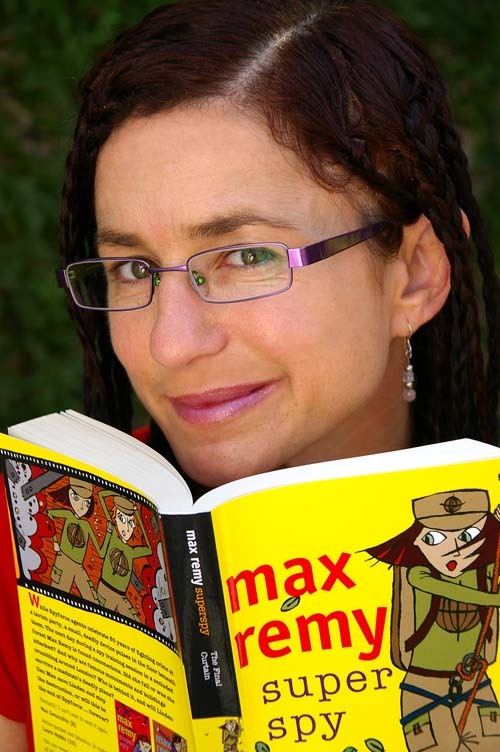 Her very successful Max Remy Superspy and Jasper Zammit (Soccer Legend) series and The Remarkable Secret of Aurelie Bonhoffen have captured the imaginations of her young readers. Articles based on the interview with Deborah will appear in the UTS Writers Connect E-Journal and other publications (more details later). Watch out for the reviews of Grimsdon, the book will be released in August. Deborah Abela has a terrific interactive website at www.deborahabela.com where young readers, parents and teachers can find out more about her books. There are also competitions, YouTube videos and writing tips. She loves to hear from her readers whether the comments are ‘good or bad’. Their comments are important to her and she answers every email they send to her. She’ll also be listing all the places she’ll be visiting on her website under ‘Coming Events’. When: 29 August to 4 September leading up to International Literacy Day on 8 September. Aim: National Literacy and Numeracy Week (NLNW) is an Australian Government initiative. NLNW aims to recognise and celebrate the achievements of parents, teachers, principals, and members of the wider community who are making a difference to the development of literacy and numeracy skills in our nation’s children. build on national initiatives to improve literacy and numeracy standards among young Australians. Lots of talking to kids and parents about books, reading, maths and how important they are for our daily lives but also how fun they can be. As the Literacy Ambassador, Deborah will be attending a special launch on August 30 to officially open the festivities. The rest of the week, Deb will be attending a series of schools, conducting author talks and writing workshops and chatting to the media about literacy: ie how much fun reading and books are! Deborah will be taking her role well outside the bounds of NLNW….as she has been doing for over ten years now, she will be doing all she can to get kids excited about books and stories at schools, festivals and conferences all over Australia. Literacy and numeracy skills are fundamental life skills that enable students to progress in school, further study, training and work. The promotion of strong literacy and numeracy skills in young people assists in countering educational and social disadvantage, and is critically important to Australia’s future prosperity and position in the world. Initiated in 1999, NLNW began as National Literacy Week targeted at primary schools. It has since been extended to reach secondary school students. A numeracy element was added in 2001, resulting in the Week becoming known as National Literacy and Numeracy Week. who writes to say: ‘okay folks … just HAD to share this with you!!! … Check out the following link to see the new ebook!!! who’s a happy animal now! And there are more coming! See the new Zoo you later! ebook and app. I will write up a post about creating the eBook shortly. And the article might be about the Prime Minster of Australia but look at her bookshelves! Congrats to my friend and colleague on her new full time appointment as Learning Support Development Officer at the University of Nottingham—well done, Helen. You can follow Helen on twitter and on her Blog where you’ll find regular journal prompts. Helen and I are currently working on the Season of Inspiration Peacock Memosaic of stories and poems.